Krzysztof Szczerski has affirmed that Poland highly values Vietnam’s position in Southeast Asia and wants to foster all-around ties with the country. Deputy PM Minh, for his part, made it clear that Vietnam treasures the development of friendship and long-standing cooperation with Poland. 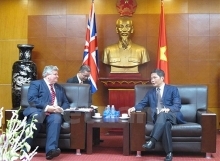 He agreed with the guest on closer liaison to prepare for the Vietnam visit by the Polish President next year. The host suggested establishing an Inter-Governmental Committee on economic cooperation and signing a framework agreement on financial cooperation, under which Poland will supply a preferential credit package worth 250 million EUR to Vietnam. Both sides pledged to continue refining a legal framework for bilateral cooperation and signing cooperation agreements on customs, aviation, tertiary education and scientific research. Poland is now Vietnam’s largest trade partner in the Central Eastern Europe. Two-way trade in the first 10 months of this year hit 655 million USD, up 5 percent annually. In terms of investment, the European country now has 12 projects in Vietnam worth 138.8 million USD. 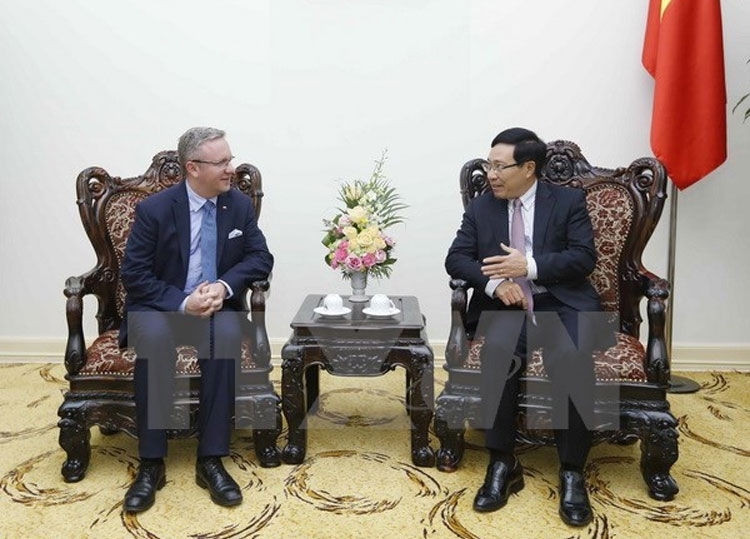 During the stay in Vietnam, the Polish Secretary of State held talks with Chairman of the Presidential Office Dao Viet Trung and visited several economic and cultural establishments in Hanoi.